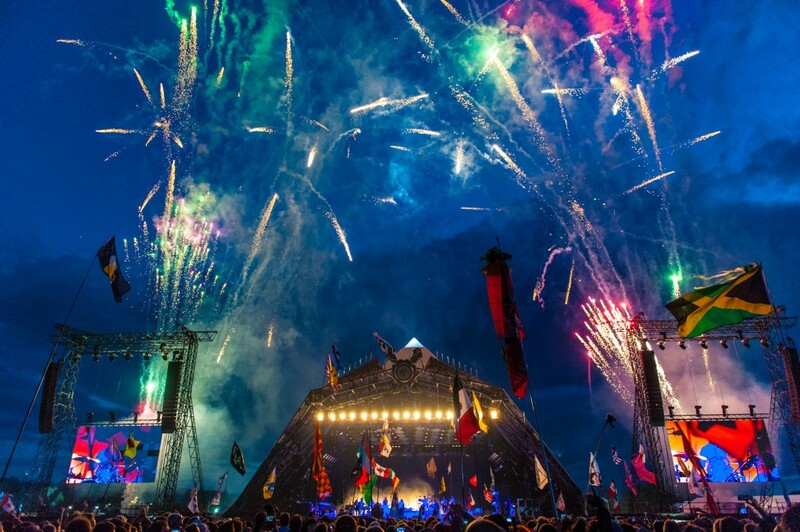 The highly anticipated Glastonbury Festival has been running for 46 years, bringing in millions of festival-goers and performers for this musical extravaganza. Situated near Pilton in Somerset, the festival has been held on Worthy Farm since the very first show in 1970, expanding into nearby fields as numbers grew. Priding itself on their ethos of the hippie and counterculture, Glastonbury has always been at the centre point for festival-goers as the place to be every festival season. 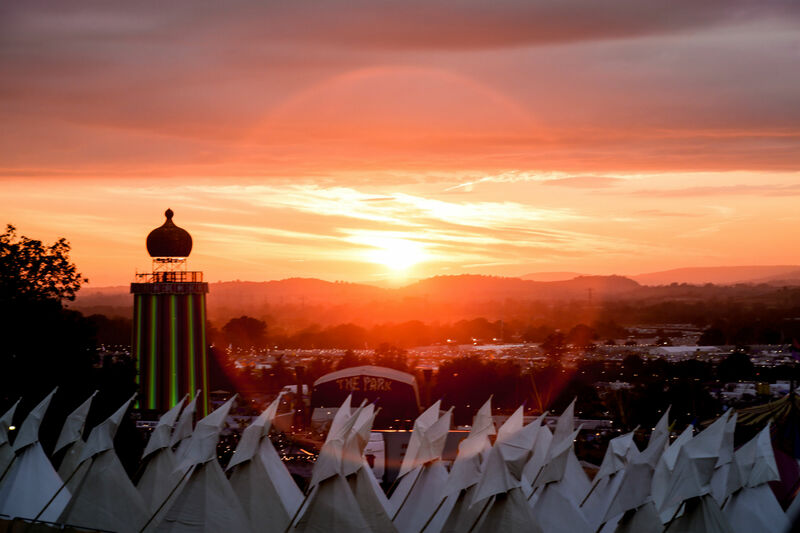 The great Glastonbury Festival rings out among households, whether you’re a festival fan or a music lover, the name is surely to have crossed your lips at one time. The name, however, was not originally Glastonbury, but Pilton Festival. Back in 1970, Pilton Festival entered the music scene as the organizer Michael Eavis decided to host an alfresco concert after seeing Led Zeppelin headline at an open-air festival. Inspired by this outdoor concert, the show was held at Worthy Farm on 19 September 1970 to an audience of 1,500 people. The headliner for the show was Tyrannosaurus Rex (later known as T.Rex) and the price for a ticket was (shockingly for us) only £1. It wasn’t until the next year, in 1971, when the show converted to Glastonbury Free Festival. That’s right, free. The show was paid for by sponsors and supporters, allowing the tickets to come in at a massive…nothing. Festival-goers attended this free show marvelling at acts such as the late, great David Bowie and Mighty Baby. This was the first year the famed Pyramid Stage made an entrance, designed to replicate the Great Pyramid of Giza, scaling in at one-tenth the size of the original, built with scaffolding and metal sheeting. The festival was held sporadically from 1970 to 1981 and since then the show has been held every year. However, every five years the festival takes a break, known as the ‘fallow years’, where it allows the land, locals and dedicated organisers to take a break. Known for being the largest Greenfield festival in the world, Glastonbury is home to numerous stages that showcase all sorts of musical acts. 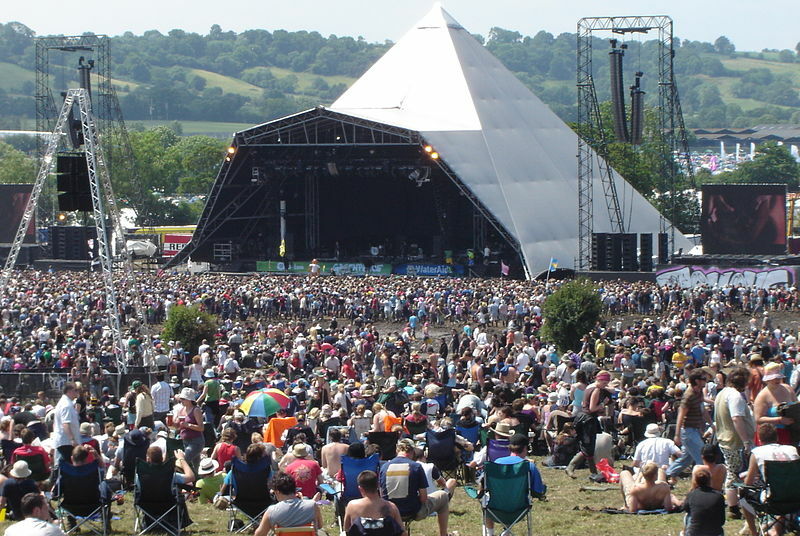 The Pyramid Stage is one of the most famous stages, having had three different designs throughout the years. The original 1971 stage, the second in 1981 and the third in 2000 have all kept the shape of a pyramid, but it is the third Pyramid that is the largest out of its predecessors measuring in at 30 meters tall and made out of four kilometres of steel pipes. The other main stage is named exactly that, The Other Stage (originally NME Stage). Introducing dance music to the festival in 1994, when Orbital performed to great acclaim introducing what was previously a small genre to one of the main stages at Glastonbury, throwing it into the limelight. Among these two main stages the areas and performance spaces on offer range from The Greenfields, a way to appreciate nature and its beauty, The Unfairground; providing side shows and rides for the festival-goers, and even a Kidz Field for family members to relax and have fun with their little ones with rides and activities. To summarise Glastonbury’s greatest acts would be impossible, the festival has been host to hundreds of massive performers, starting with Bowie in ’71 and in 2015 showcasing Kanye West. Throughout the years campers have been privileged to witness Elvis Costello, Johnny Cash, Rage Against The Machine and Radiohead in 1994. 1999 saw in R.E.M, Manic Street Preachers, Coldplay, Muse and Blondie, while 2004 played host to Paul McCartney, Oasis, Muse, James Brown, Kings of Leon and Morrissey. More recent years have seen Arctic Monkeys, The Killers, The Who, Adele, Shirley Bassey and Amy Winehouse in 2007, with 2011 presenting a show-stopping performance from U2, Coldplay and Beyoncé as the three headliners. Last year’s spectacular show saw Florence and the Machine, Kanye West and The Who leading up to 2016’s massive three headliners of Muse, Adele and Coldplay, who gearing up to perform. Whilst the first official festival was free, prices have steadily risen over the years. Not only have they increased, but the numbers of festival-goers has rocketed from its original 1,500 to 175,000. In 1983, a license had to be placed upon the festival, as it had grown too large, in order to limit the crowd numbers, as it had grown from 30,000 to over 100,000 in the previous years. It was not uncommon to find fence jumpers and gate crashers in the earlier years, often swelling the numbers to twice the amount that were legally allowed. 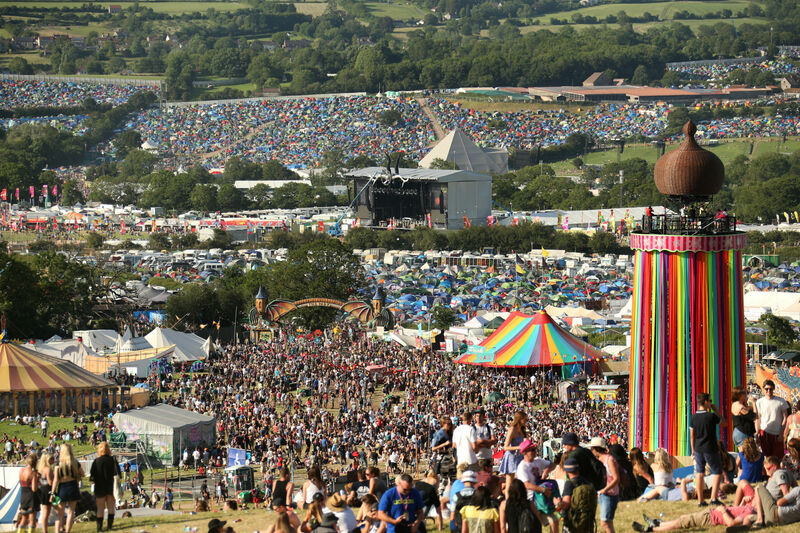 It wasn’t until 2000 when so many people crashed the festival that the District Council refused to give Glastonbury another license until the problem was resolved. 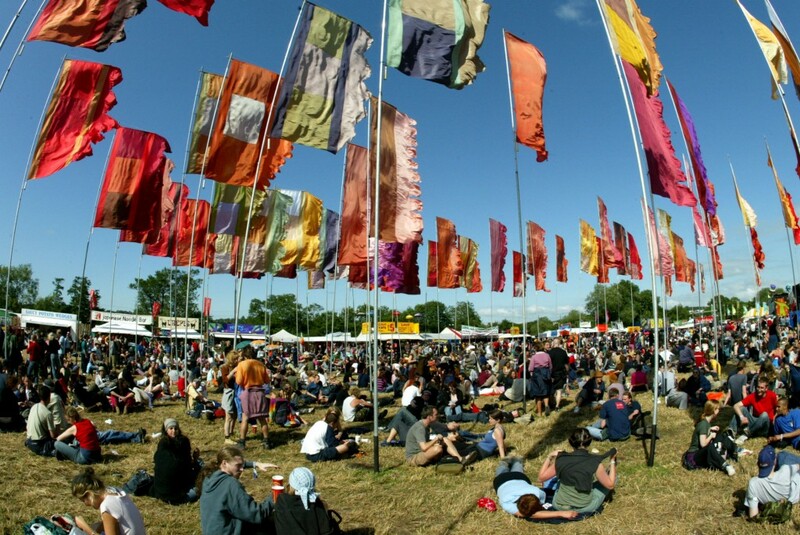 Glastonbury began working with The Mean Fiddler Organisation in 2002 so that they could handle security, installing the so-called ‘super fence’ which dramatically helped to reduce numbers. The introduction of the new, impenetrable fence meant that when 150,000 tickets went on sale in 2003 they sold out within 24 hours in contrast to 2002’s 140,000 tickets taking two months to sell. The inability to scale or break down the fence meant festival-goers were desperate to buy the tickets, as this was the now only way in. In 2007 tickets with a passport photo became compulsory, having to be security printed to stop the resale of tickets by touts. Glastonbury is known for its dramatic weather, almost becoming a tradition for it to rain at least once during the festival. Worthy Farm has seen some dreadful flooding, when in 1985 the dairy farm became so sodden that the mud and cow dung streamed down into the lower areas of the fields and flooded it with sludge and faecal matter. This didn’t dissuade festival-goers though, who proceeded to dance through the bog. 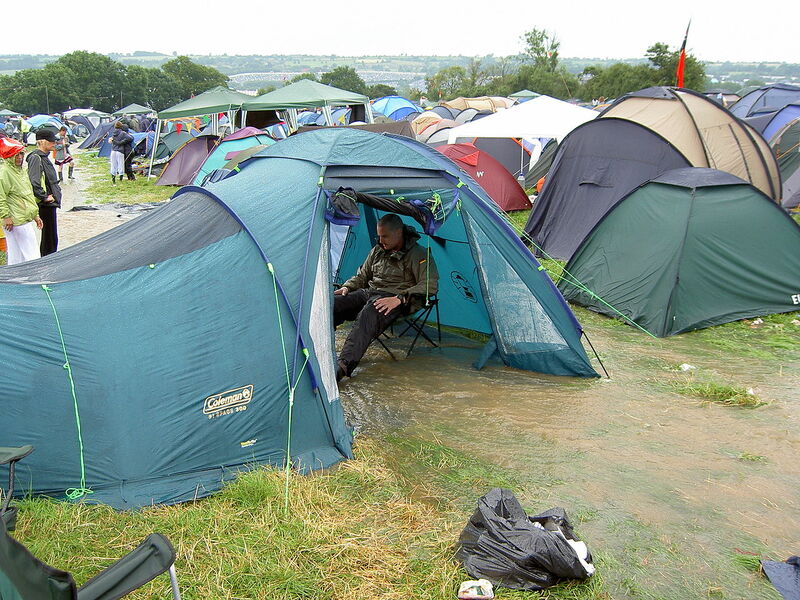 Similarly, in 2005 the field saw in four feet of rain water, with thunderstorms blowing through the sites and lightning hitting tents and bars in the festival. Worst of all, in 2007 flood defences were installed for £780,000, but that did not stop the rain pouring and flooding the grounds, meaning partiers had nowhere to go that would keep them dry over the festival days. When leaving the site on the last day, it proved impossible as the roads had turned to sludge, taking festival-goers over nine hours just to leave the site. The festival prides itself on its work with charities and those in need, starting out in 1981 by working alongside the Campaign for Nuclear Disarmament, which saw them receive £20,000. Over the years charities would provide a number of volunteers to help with the shows, being rewarded with money going directly to those in need. The main body of the charities receiving donations have been Oxfam, Greenpeace and WaterAid, connecting up with Glastonbury’s strong belief in helping the environment. The festival has created a Love the Farm, Leave No Trace campaign to influence festival-goers to clean up after themselves and take care of the field it is hosted in. This campaign was spurred by Eavis when hundreds of tents were left behind in 2007, resulting in one of his cow’s dying after it ate a metal tent peg hidden in the ground. The movement not only brings about the environmental message, but hands out biodegradable tent pegs for free to the campers and uses waste vegetable oil in their bio-tractors for the site.